Detective Dark needs you to solve another criminal case. Join her and become an adventurous detective of investigation CBI Team! Help us save the world from crime. As a new member of the FBI, you’ll be drawn into the plot of multiple investigations, each with its own unique fugitive to catch, challenges, and surprises. Find items in pictures as quickly as you can! Move the picture when it is zoomed to find the hidden objects! You can zoom in the picture to find the hidden item easily! Some objects are hidden in the shadows of other objects. Go through all the levels of this magnificent hidden object quest and enjoy the unforgettable adventure where you should search for hidden items and lost objects. We made this game for hidden and escape games lovers.Thank you for playing our search and find games. You are the best! Don't forget to rate them! 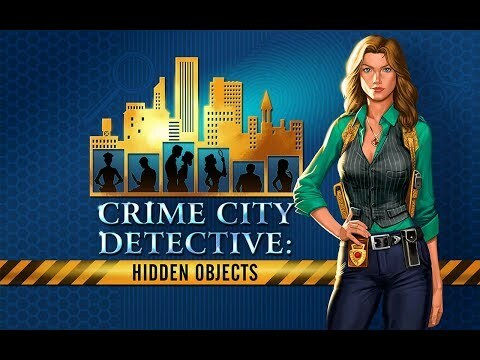 Look for more new challenging adventure games and hidden object full games from our studio! You may require an Internet connection to take access its social features. You can play in this game without Internet. Join a legendary detective from the Stranger Things Department to solve new crimes starting XP level 10! Watch video to boost fire fighting and prolong detention of thugs on the map for free! Discover new features and enhancements:? There are new fascinating investigations? Exchange gifts with all the officers of the city.? Complete new tasks and make new collections? Visual and performance improvementsThank you for your comments! You help us to make the game better!